Annual debate 2019: Can satellite earth observation help to save the planet? "You can't fix what you can't see" Will Marshall, co-founder and CEO of Planet. 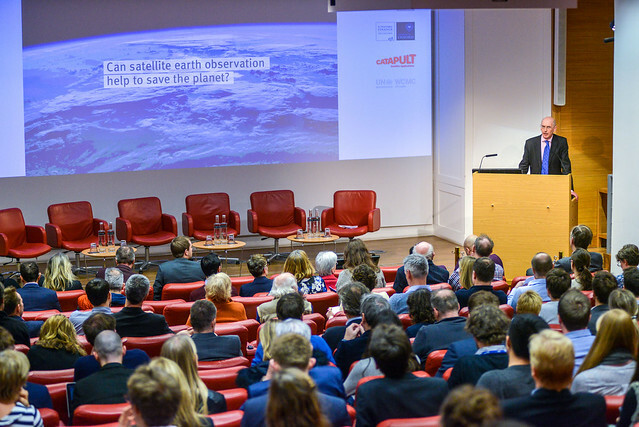 For our annual debate, we explored how recent developments in earth observation and data science could transform both our understanding of and approach to environmental challenges. Will Marshall's speech was followed by brief presentations from Sam Adlen and Corli Pretorius, showcasing environmental uses of earth observation. The speakers then took part in a panel discussion, chaired by Charlotte Smith, on how earth observation and data science could accelerate solutions and support better decision making. Read the event summary and watch video highlights of the debate below.